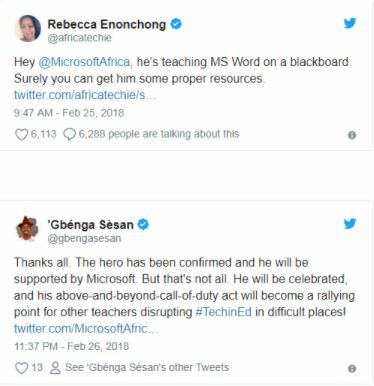 A basic school teacher whose heroics went viral after images of him teaching ICT on a board went viral has received the attention of Microsoft. 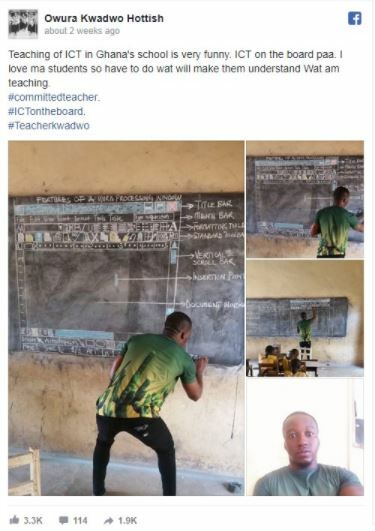 Owura Kwadwo shared images of himself on his Facebook page weeks ago teaching students how to identify basic elements on a computer monitor without actual resources. 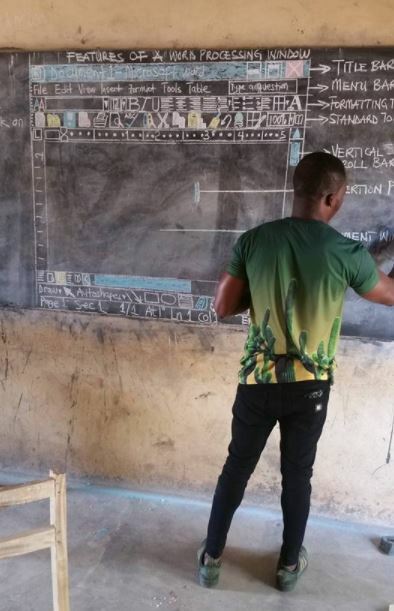 He resorted to the drawing board to teach pupils in his class how to use a computer. 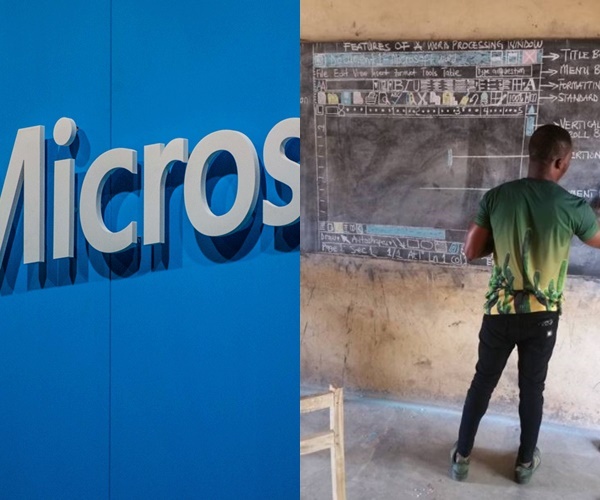 The ICT teacher sketched an average Microsoft Word document on the chalkboard with the parts of the window labelled, enabling the students to get a fair idea of the various parts of a typical Word document. His commitment to teach and determination to make his pupils comprehend the subject gained attention of some people on social media who made pleas for him to get support. 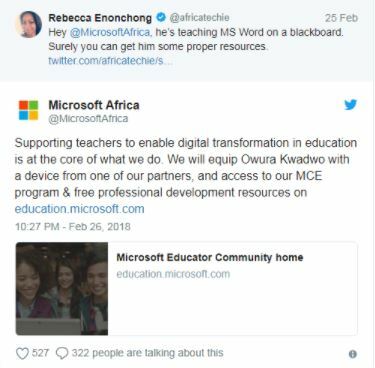 An entrepreneur on Twitter Rebecca Enonchong @africatechie appealed to Microsoft Africa to assist the teacher with resources and build his capacity to motivate him keep on with his task. This gesture has been lauded by many on social media. wow, this is really great and a nice move by microsoft. so happy for the man. That man is a very lucky man. His hard working has paid off. I’m very happy and looking forward to do something that drag attention some day.